Samurai Comics & The Arizona Comic Mini Expo team-up for our Artist-in-Residence Program. 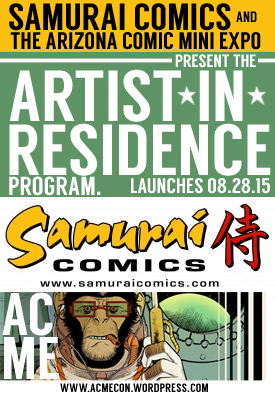 Our monthly artist-in-residence program kicks off August 28th at Samurai Comics in Mesa. Come out and see professional comic creators work, and meet with fans.